One of the oldest birds at VINS, Kent was found struck by a vehicle in Kent, CT, leaving her with an injured left wing. The wound caused permanent damage to her feather follicles, disabling the growth of certain crucial flight feathers, and leaving her unable to fly and hunt for herself. 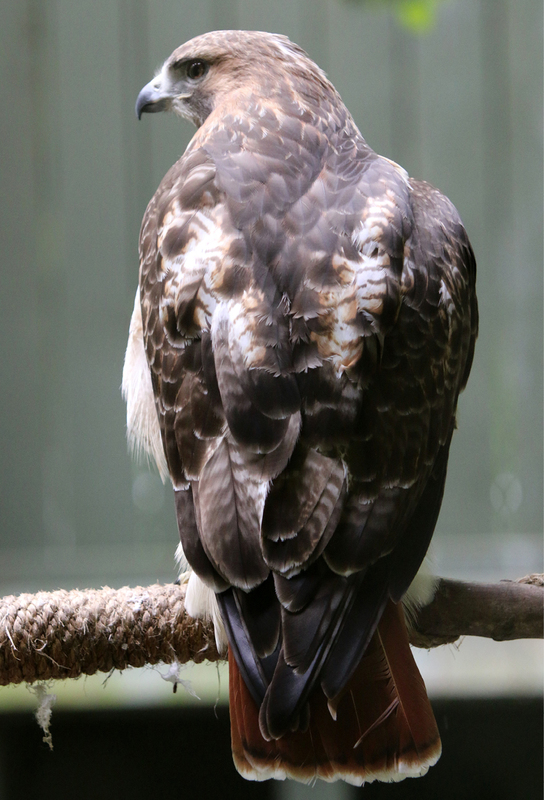 Arriving as a juvenile in 1988, Kent now shares an exhibit with Neddick, a male Red-tailed Hawk. They often perch together on the same branch, keeping an eye on visitors and the forest beyond their enclosure. 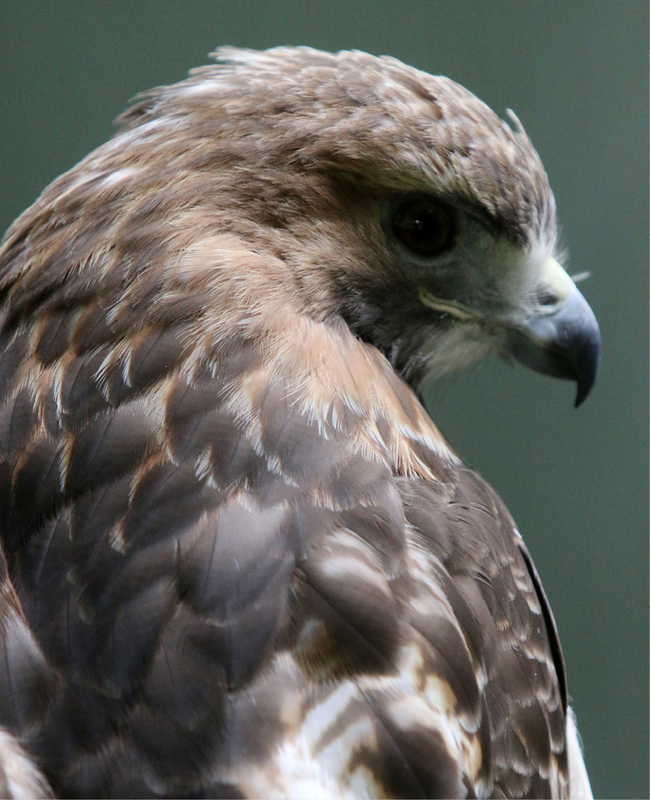 Although our birds do not breed, the Red-tailed Hawks do show some signs of courtship behavior. In spring, they will participate in a “nesting” behavior, making a loose ring of sticks in the back of their enclosure. The Center for Wild Bird Rehabilitation ensures that all of our exhibit birds receive biannual health checks and a variety of nutritious food. Red-tailed hawks are generalists that will eat just about anything! 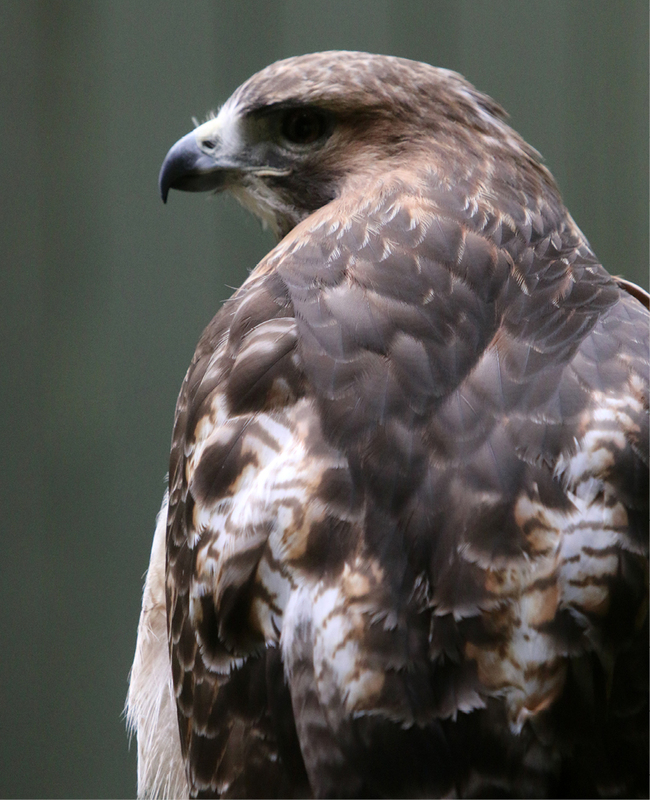 Thank you for helping support the care of our Red-tailed Hawk, Kent, through the RISE Adopt a Raptor Program. Together, we can protect our natural heritage through education, research and avian wildlife rehabilitation.